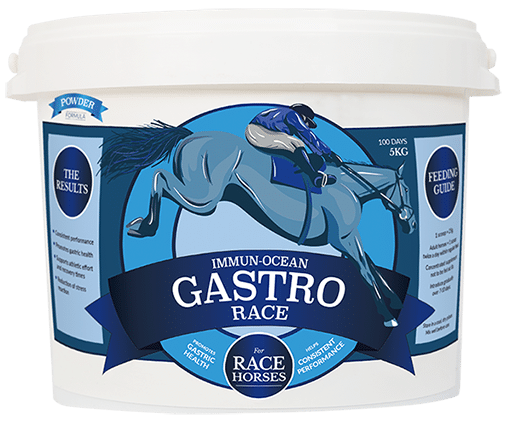 Gastro Race is a 100% natural feed supplement comprising of Ascophyllum nodosum and Lithothamnium which provides a formulated balance of vitamins and minerals for racehorses. It is a natural approach to supporting the proper, efficient process of equine digestion, providing gastric and hind gut comfort. It promotes a healthy immune system, bone density and joint mobility. Gastro Race also helps reduce stress reaction and improved recovery times. 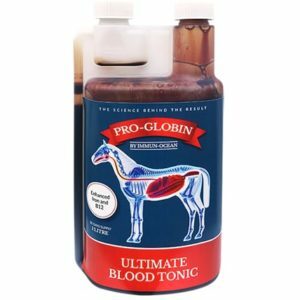 This naturally balanced mix of minerals, vitamins, amino acids and antioxidants helps to promote a healthy immune system and gut environment and aids the overall well-being of racehorses. Natural MSM is a natural organic sulphur and is abundantly found in Ascophyllum. It helps to maintain healthy and flexible joints, offering your racehorse both short and long term joint support. 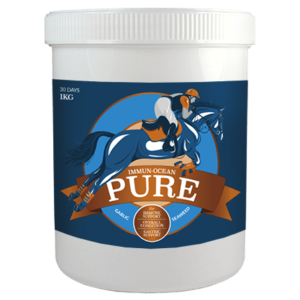 With optimum levels of magnesium to help with nerve and muscle function this product contains no listed banned substances and is suitable for horses racing under all jurisdictions. Gastro Race is specially formulated for Racehorses. Gastro Race is available in 1,5kg and 5kg tubs.